The "masked bandit" might be another apt name for this gray wolf, and stealing hearts is definitely what he's up to. 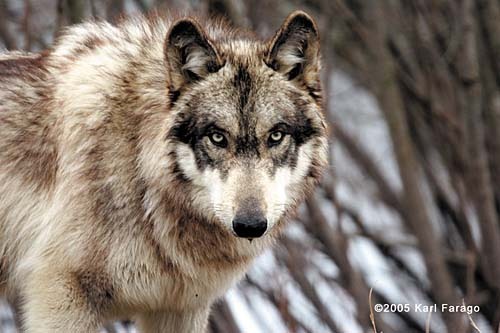 While there is some resistance to the wolf recovery effort in the United States, wolves' popularity is on the rise. There are several organizations devoted to the welfare of the wolf, the Defenders of Wildlife Wolf Fund being one of the most noted.